Although iPhone is loved and admired by people all over the world, not all of them are a big fan of iconic iOS app, iTunes. In the beginning when the iPhone was released people kind of got used to iTunes, as they were no other options available. But now there are various companies making many suitable apps and other methods which can offer the same function, providing you with lots of options. When we talk about a specific function like data transfer, iTunes is too slow and the process is complicated and most importantly it is not user-friendly at all. So, now most of the users actually prefer transferring files from iPhone to PC without iTunes. And that is why we are here with some insights and other specific details about the topic in this detailed guide. Unlike the newer apps, iTunes is very hard to operate. While the third-party apps are providing options like one-click download and easy data syncing; iTunes is using the same old process since the invention of iPhone. Only one-way transfer is available, where most of the newer apps provide two way data transfer. One of the well known functions of iTunes is its music transferring capability, but you can only transfer purchased music. You cannot select specific files or go with selective transfers while transferring with iTunes. The app is unable to sync with multiple libraries. While syncing data with any iDevice through iTunes you can even lose valuable data as transferring your data with iTunes will erase and replace existing data on your device. These are a few specific drawbacks of iTunes. These are also the reason why more and more people are choosing third-party apps over iTunes. The poor performance of iTunes has been forcing more and more users to look for suitable third-party options. Unlike 10 years ago, there are a lot of apps available on the market that performs well above iTunes and are also reliable. Tenorshare iCareFone is one such reliable app. It provides speed, security and an all-in-one function which more or less solves all your needs. iTunes is only able to export 5 kinds of documents, even though you won't be able to export them directly to your PC, whereas iCareFone is able to manage 9 different types of documents and a support of over 20+ files. You can export them directly to your computer and even manage, edit or delete them. There are times when iTunes won't recognize your device and you won't be able to create or restore backup, unfortunately if such things happen, you won't be provided any help. But if you are using iCareFone it will definitely help you. It will selectively backup your data in a very limited time. Files transferred with iCareFone is fully readable, accessible and 2-way transferrable unlike in iTunes. No data loss! There won't be any need to delete and replace data. iCareFone is able to fix all kinds of crashes and also improves your iOS performance. Tenorshare iCareFone provides the easiest and most efficient way to transfer your data from an iPhone to a PC. It is highly recommended software with professional programming which lets you manage your data among various devices like iPhone, iPad, Mac, and PC. 1. First, download and install the app. 2. Connect both of the devices with a USB cable. 3. It will take a few seconds to detect the device, after that go to "Manage" and select the type of data you wish to transfer. 4. After selecting the data and choosing the required files you will just have to click on the "Export" button below to transfer the files right away. Just like iTunes, iCloud is also an iconic app when it comes to iOS devices. The app is almost as old as iTunes but unlike iTunes, iCloud is fast, reliable and provides the much needed support to the users. iCloud provides a variety of features like iCloud Backup and iCloud Media Library etc. Keep in mind, iCloud only provide 5GB of free storage and charges a certain amount if you need more storage. 1. First of all register to iCloud. 2. Then go to your iPhone X/8/7/7Plus/6/6S/5/5S/SE and connect to Wi-Fi network. 3. Now go to "Settings", then enter your name and click "iCloud". Now turn on iCloud Backup. If you are using 10.2 or earlier devices, go to Settings and then tap on iCloud. 5. If you have a backup then you can see it by going to iCloud storage. 1. Open your PC and log-in to iCloud.com using your Apple ID credentials. 1. First, download, install and launch iCloud for Windows if you are using a Windows PC. You will get the synced files inside File Explorer on your PC, under iCloud Photos in case of photos and iCloud Drive for all other file types. So, here's how you also can transfer files from iPhone to PC without iTunes free. In the end, it can be said that because of the poor performance of iTunes, customers are rightfully ditching the app. iCloud is also an old app and has its own limitations but it more useful as it is easy to use. It goes without saying that when you are using a classy gadget like iPhone you won't use a buggy and slow app like iTunes. So, now you know how to transfer files from iPhone to PC without iTunes in this article. 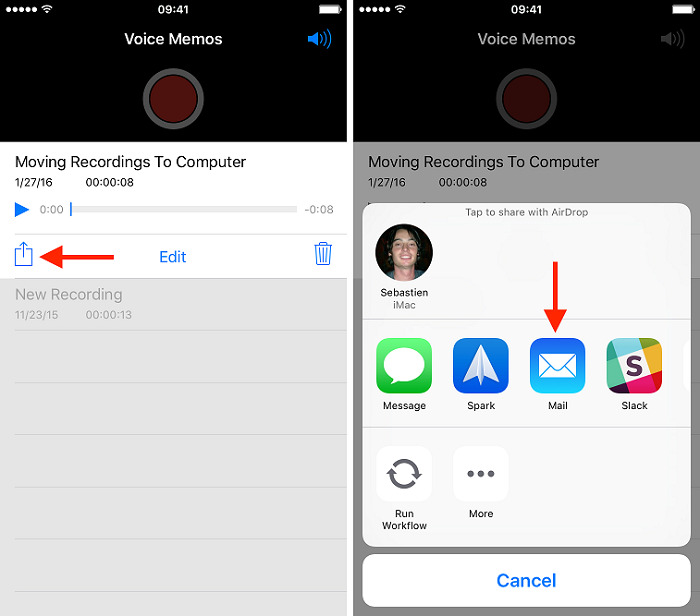 Now, If you want to know the best or the easiest way on how to transfer data from iPhone to PC without iTunes, we would highly recommend you to go for Tenorshare iCareFone with your eyes closed. Don't miss this software! If you find this article helpful, do share and comment below! !